The Concave Pin is a classic cruising longskate for everyone and is constructed from seven plies of Canadian hardmaple. Slightly softer than the Supercrusher, the Concave Pin is aimed towards riders who prefer a board that comes alive under their feet. This board is available through our dealers as deck only or complete with components from leading manufacturers such as Randal, Holey, Paris, ABEC 11 and Retro. What would be the recommended maximum weight for this board? That is a really difficult question to answer since different riders like different amounts of flex on their boards. Hey I wanted to ask about that Concave Longboard pin suitable for those who have traveled a bit in advance and slopes are a bit experienced to go. The longboard is very long, but I have heard that you go with the fastest long and I would like also, but in addition, I also get sharp turns when I go in maybe in small hills or something like that. And the wheels,when should I replace the wheels? So is this longboard a good buy for they how has skated some times before? Not sure that I follow you here, but for an experienced rider who likes to go fast, we have better options than this board. 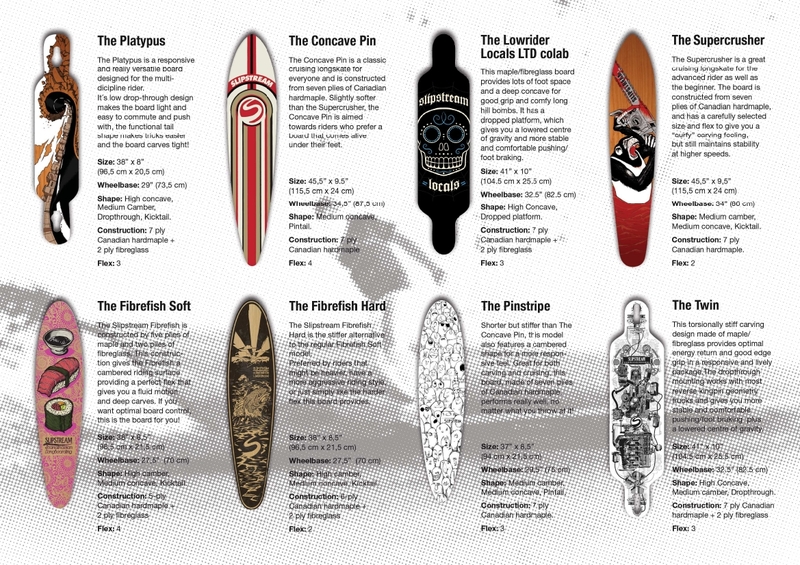 Check out “The Twin” and “The Lowrider” as this board is more of a cruiser! I am looking for new wheels. Is it possible to fit Apec 11 Gumball’s 76mm on this board, with the stock trucks? Or are they to big? Hi Nick and thanks for the message! That depends on which trucks you use and the height of the riserpads. We have tested this setup with nearly all “180” reversed kingpin trucks on the market plus 1/4″ risers, so you should be good as long as you use 1/4″ risers. Hey Thor, thank you for the comment! If you like the board to flex you should go for The Concave Pin since this board has a softer flex compared to The Supercrusher. ok so they are almost the same except the flex? does flex affect the speed? Hi ! im a beginner at longboarding and im looking for a board that i will use mostly to cruise with :) is this a good board for me ? or do u recommend another? .. my weight is around 60 kgs.. This is a decent cruising board for beginners, but you might also want to consider shorter options as they are easier to handle. As always, this is a subject to personal preferences and never not let anyone tell you what you should like. 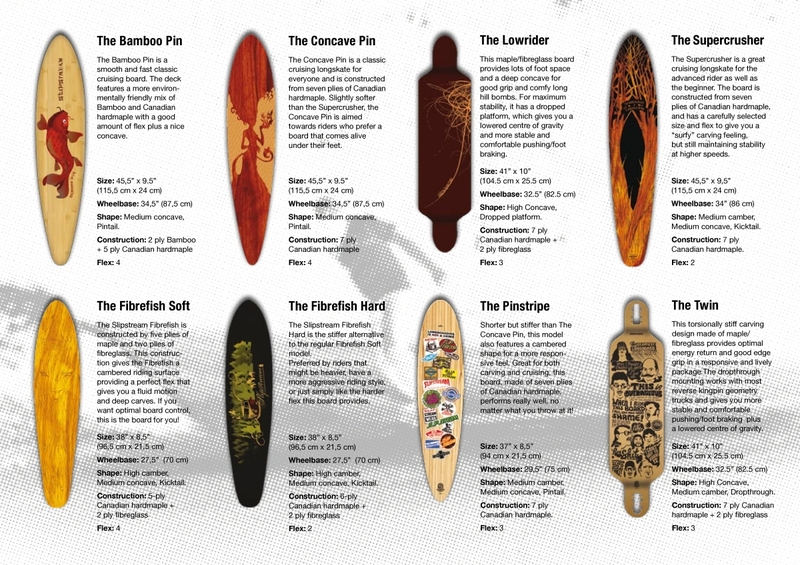 Try different boards if possible and decide for yourself! Hur lång och hur bred kommer 2011:års concave pin att vara? Kommer den ha en camber? How long and how wide will this years The Conave Pin be? Is there goingt to be à cambered board or just The flat ordinary? 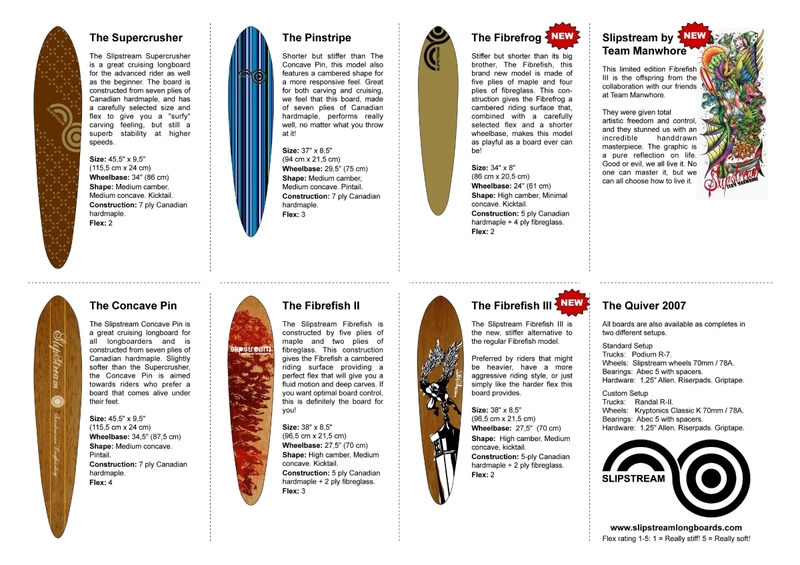 We are making a few changes in the new design and those changes will be revealed in March 2011 when the new decks are released. Keep your fingers crossed! First of all, stoked on the new Quiver!! I somehow lost my kingpin to my Concave Pin 2010, yeah i know it’s stupid :) The trucks are the same as on the picture. Is there anyway I can buy a new kingpin from you, or can you tell me where to buy a new one? Hey Nick, thank you for the kind words! The best option for you in getting a spare kingpin for your trucks is probably contacting your local dealer, they should be able to help you out.